Awards dinner a huge success as the industry turns out to celebrate the best of the best at the Hilton Deansgate last night. 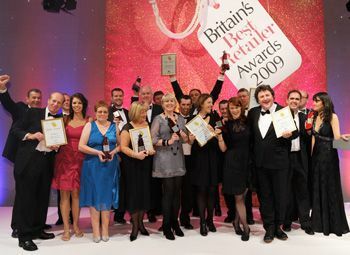 The annual Britain's Best Retailer Awards took place last night at the Hilton Deansgate in Manchester. The glittering event comprised a drinks reception, three-course meal and awards ceremony as well as entertainment from actress and ventriloquist Nina Conti. What a wonderful event put on by a wonderful crowd of people. Everybody enjoyed it - get to see such a big turn out.